Who Can Use the Title? In Western Australia, the Architects Act 2004 requires that any person carrying out the practice of architecture under the title “Architect” must be registered with the Architects Board of Western Australia. What is the difference between the Architects Board of Western Australia and the Australian Institute of Architects? The Architects Board of WA is a statutory authority that is responsible for administering the Architects Act 2004 – the legislation that regulates architects in WA. The primary purpose of the Board is to protect consumers of architectural services by ensuring that only properly qualified and competent persons are identified as architects and to establish, maintain and promote suitable standards of knowledge and skills among architects. It manages the registration process for architects and issues licences to corporations. 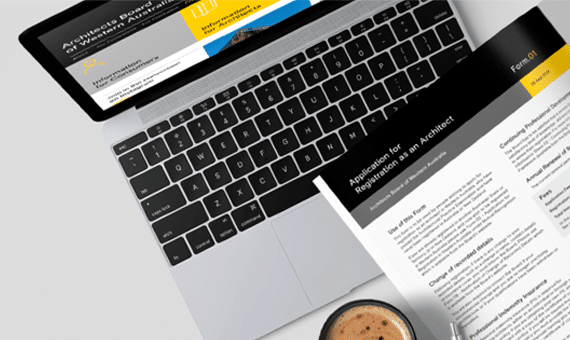 As part of the registration process, the Board accredits architectural courses from Western Australian universities and conducts the Architectural Practice Examination. The Board also monitors the correct use of the word “architect” (and associated words), investigates any contraventions of the Act and disciplines architects if they have acted unprofessionally, or breached the Act. By contrast, the Institute is the professional body for architects. Amongst many other things, it lobbies government on critical issues which relate to architects and architecture, recognises excellence in architecture through the Architecture Awards, and provides services for members such as professional development seminars and a senior counsellor service for general queries and disputes. Who can use the title “Architect”? While virtually anyone can draw up plans and call themselves a “building designer”, only a person registered by the Architects Board of WA can use the title “architect”. But the distinction is far more substantial than the just the title used. Architects must have gained approved tertiary qualifications (or equivalent), have undertaken a two-year period of practical experience and have successfully completed both the written and oral parts of the Architectural Practice Examination before becoming eligible to apply for registration, and qualifying to use the title “architect”. Once registered, practising architects are required to undertake continuing professional development activities each year to ensure their knowledge, skill and competence remains current. The title “architect” can also be used by corporations that have been licensed by the Board. In order for an architectural corporation to be granted a licence, all architectural work carried out by the corporation has to be done under the direct control and supervision of an architect, and an architect has to have ultimate responsibility for the architectural work done by the corporation. Architects that take on these responsibilities are referred to as “responsible architects”. So, when you are working with an “architect”, you will now you are dealing with a fully qualified professional. You can check if an individual is registered, or if a corporation is licensed, by using the “Search Register” function on the home page of the Board’s website, or by contacting the Board’s offices. Why do architects need Professional Indemnity Insurance? All practising architects must have appropriate professional indemnity insurance to protect the public and their own professional interest. Allegations of professional negligence often involve complex and detailed issues, and litigation is expensive. Professional indemnity insurance is important in safeguarding the architect, the public and the consumer. Do all architects need to undertake Continuing Professional Development (CPD)? The Architects Act 2004 requires the Architects Board of WA to be satisfied that an architect has attained, or maintained, an appropriate level of knowledge, skill and competence in order to renew a person’s registration. The Board’s preferred method for establishing this level is through CPD activities which comply with its CPD Framework. All practising architects, including architects who work part-time, are required to declare, at the time of annual renewal of registration, that they have maintained a satisfactory level of knowledge, skill and competence in the practice of architecture – for example, that they have obtained a minimum of 20 CPD points of which at least 10 points are formal. Architects who are registered in the non-practising division of the register are not required to maintain their knowledge, skill and competence in order to renew their registration. However, should a non-practising architect wish to re-commence practice, they will need to satisfy the Board that they have maintained their knowledge, skill and competence. Voluntary participation in some CPD activities may assist this process. How can architects get formal Continuing Professional Development (CPD) points without going to a seminar? 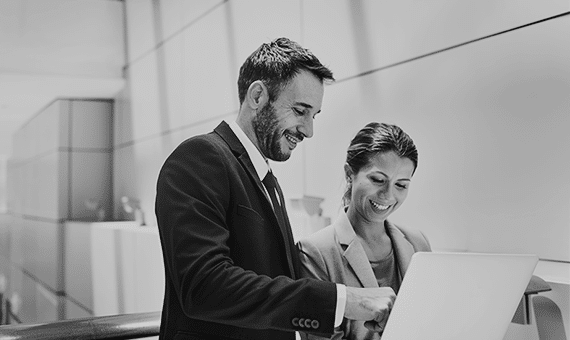 For an activity to qualify for formal CPD points, it must have stated learning outcomes and either have an assessment activity included or have significant interaction between the presenter and learner. When are architect registration, and licensed corporation, renewal fees due? Pursuant to the Architects Act 2004, the annual registration period runs from 1 July to 30 June, with registration/licence fees for that year due by 30 September. This means that architects have several months within which to pay their renewal fees. Failure to pay renewal fees by 30 September will result in the architect, or licensed corporation, being removed from the register. An architect who wishes to resign from the register should notify the Board prior to 30 September, or their name will be removed from the register for non-payment. If this occurs, and at some time in the future that architect wishes to re-register, they will be required to pay all fees that would be in arrears as if they had continued to be registered. By contrast, an architect that resigns from the register and then wishes to re-register in the future will not be required to pay any back fees. I have an architectural degree from overseas. 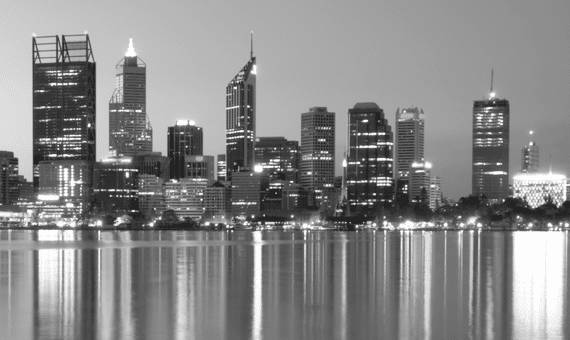 Can I be registered as an architect in Western Australia? Before you can be registered in WA, your qualification must be assessed as equivalent to a current Australian accredited qualification. This assessment is conducted by the Architects Accreditation Council of Australia. Once your qualification has been deemed comparable to an Australian qualification, you are eligible to undertake the Architectural Practice Examination, successful completion of which is required before you can apply for registration as an architect with the Architects Board of WA. I have recently completed an accredited architectural degree in Western Australia. Can I call myself a “Graduate Architect”? No – only persons registered by the Architects Board of WA can use a title that includes the word “architect”. It is therefore a breach of the Architects Act 2004 for an unregistered graduate to refer to themselves as a “Graduate Architect”. I thought the person I hired was an architect but they’re not listed on the register. What can I do? If you cannot locate the person that you have been dealing with on the Board’s register, you can notify the Board. Where it appears that there may have been of misuse of the title “architect” by a person or organisation that is not registered or licensed, the Board can investigate the matter. The Board may pursue a prosecution against the individual or corporation in the Magistrate’s Court if an offence under the Architects Act 2004 may have been committed and there is a reasonable prospect of a conviction. I’m not happy with the services provided by my architect. What can I do? 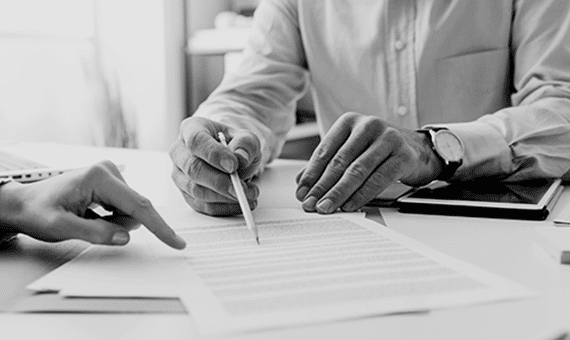 The Architects Act 2004 prescribes a process whereby a person who is aggrieved by an architect carrying out architectural services, is able to make a complaint to the Architects Board of WA. If you believe that your architect is behaving in an unprofessional manner or has contravened the Act in some other way, then a complaint can be made to the Board. If a complaint is proven, it may result in an architect being fined, reprimanded or suspended. The Board does not have the ability to award costs to a complainant or order any refund of fees or other related matters. If financial compensation is your primary interest, you should consider a claim in civil court.